Keeping up with the Joneses in search engine optimization starts with clicking and scrolling in the search results. Copying competitors won’t help you outrank them — at best you’ll keep pace. Instead, identify what they’re doing well, and then do it better. In search, every site that ranks for the keywords that you need to rank for is a competitor. Media companies, large and small ecommerce sites, sites with different business models — they’re all potential competitors. Carefully choose the sites to gauge your ranking performance against. Otherwise, you’ll be competing against the wrong sites, and you won’t improve your rankings. You’ll probably need to choose several different themes of keywords and competitors. For example, the shoe competition for a fashion site will be different than the dress competition. In that example, choose a handful of keywords for shoes and a handful of competitors to analyze; use a different set of keywords and competitors for dresses. If you’re doing it manually, create a spreadsheet like the one below to house your data. List the ranking position in each cell. 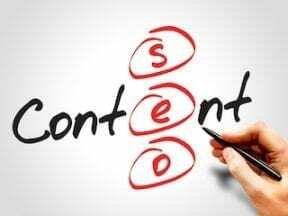 In the example above, your site ranks in the second position in Google for “keyword a.” Your first competitor ranks number one, and your other competitor ranks number three. Thus for “keyword a” you’re neck and neck with your competitors. However, for “keyword e” only the first competitor ranks at all, and only in position eight. 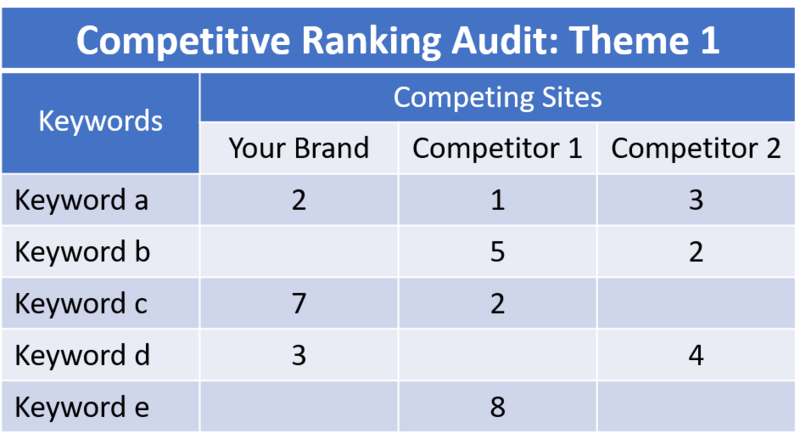 All three sites have room to improve on that one, but the first competitor can provide insights on how to rank better. Instead, use Ad Preview in Google Ads for an unpersonalized view of the rankings for any keyword. You don’t need an active campaign to use it, but you do at least need a free Google Ads account. What makes their page so special in Google’s eyes? There’s something. All you have to do is find it. You won’t be able to mimic every item that makes your competitors’ pages rank higher than yours. Where is the low hanging fruit? What can you address quickly to see improvement in the short term? Do those first. Don’t shy away from the more complex projects, though. It’s usually the big ones that drive the largest benefit. Collaborate with your creative and development teams to discuss what you’ve found and the potential for new traffic. You know potential traffic growth by comparing total monthly search volume for each keyword to the traffic you receive. This data is located in the new Google Search Console, in the Performance tab.